Vicini is the newest Italian-American restaurant in Frisco, situated right under the Post apartments building. As you may remember, the space used to be a sports bar, but they have completely transformed the establishment into a casual yet elegant dining spot. 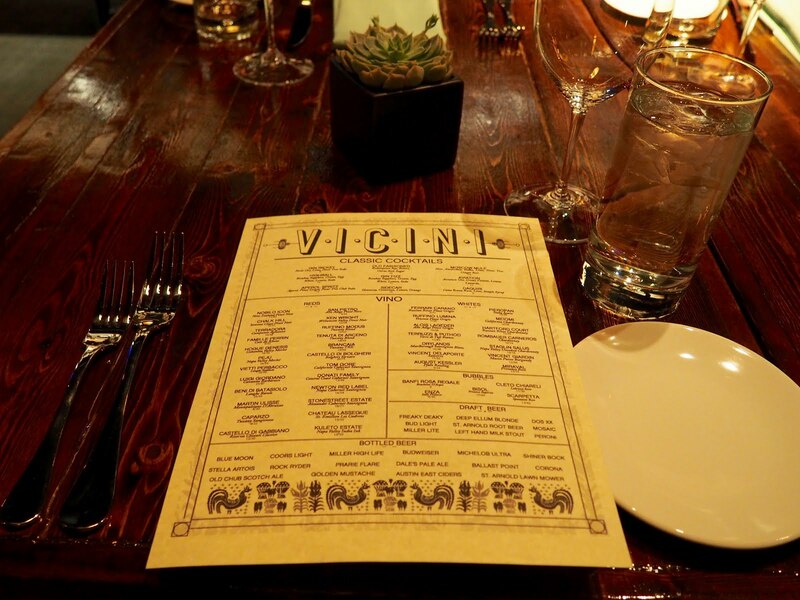 It's the perfect place for a girls night out, date night, or even a birthday dinner. Last week, they previewed bits of the menu, and as of this past weekend, they have officially opened their doors to the public! They offer a wide selection of wines and craft cocktails. The final menu will have about 50 different wines from all around the world, by the glass! As for cocktails, I got the Moscow Mule with new Amsterdam vodka, lime, and fever tree ginger beer. I love a good mule, and y'all this is it. Also try the Aviation Cocktail. For starters, get the Imported Burrata. This has honestly been one of the best things I've eaten in a while. 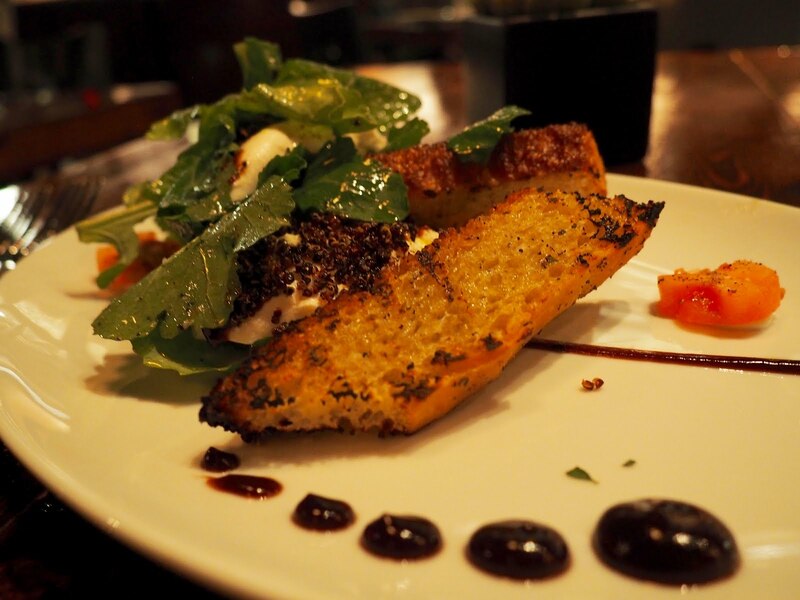 It's ricotta cheese, wrapped in mozzarella with focaccia and arugula, topped with crispy quinoa and a cherry balsamic sauce. I mean it's cheese and more cheese - can it really get any better than that?! 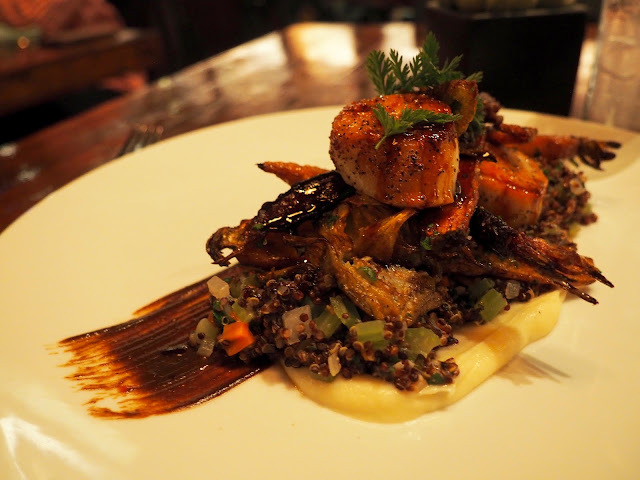 If you're looking for a healthier option for your main entree, I would say go with the seared scallops. It wasn't too heavy at all, and it tasted super fresh, as all the seafood and cured meats are flown in! I'll definitely be trying a pasta dish next time though. All pasta is made in house on their custom Italian machine! And you can't forget about dessert. 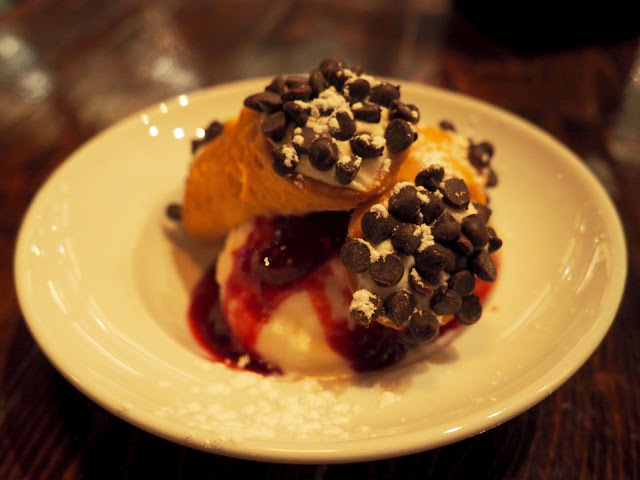 The cannoli is also made completely from scratch by the talented pastry chef from Uchi! It may be a bit of a trip up to North Dallas, because take my word for it... it is completely WORTH IT. Buon appetito!